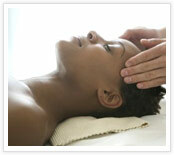 Symmetry Massage Therapy opened in our current location July 15th, 1997. We are a large clinic that offers an expansive list of services in massage therapy to help our clients reach their wellnes goals. In order to do this, we have eight Massage Therapists on staff with a over 40 years of experience. We operate out of a converted-home near Winnipeg's Osborne Village. There is ample parking either on the street in front or in the parking lot behind our building. Your treatment will begin with a consultation. Your initial consultation will be an opportunity to clarify any information in the health history, and areas of concern will be discussed. A specific assessment is performed to determine restrictions in range of motion, musculoskeletal imbalances and to ensure relative pathologies are presented. The assessment findings will determine the course of treatment most suited to your needs. A reassessment completed after the application of appropriate techniques will show your progress. 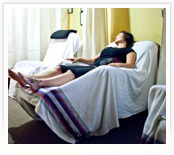 Your modesty and comfort is considered at all times throughout the assessment and treatment processes. Please feel free to bring a pair of shorts or a bathing suit. An assessment gown will be provided if you choose. For best results, communication between therapist and client is key. Following the treatment, your therapist may arrange a treatment plan. This plan outlines the recommended course of therapy for your condition. In conjunction with homecare, it ensures your recovery will be as efficient as possible.